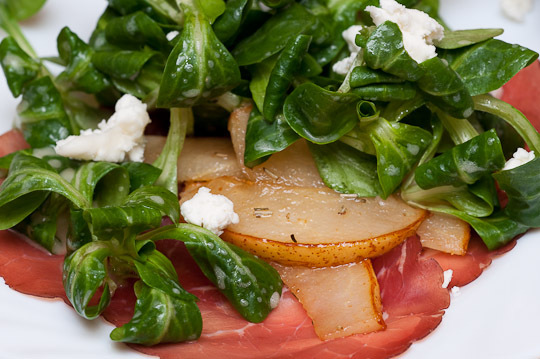 grilled peach salad with bresaola, replacing the peaches with pears and the rocket with lamb’s lettuce. having tested the original before i must say that both versions are really on a par. 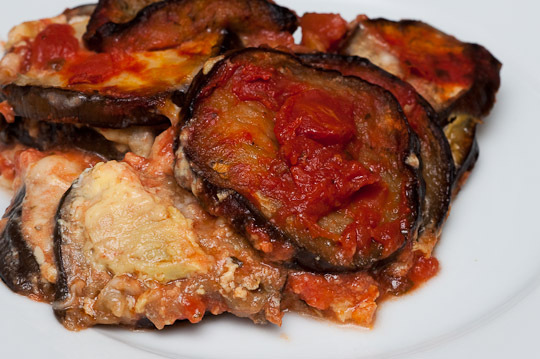 parmigiana di melanzane, with a recipe from the silver spoon. and while you may find the picture not particularly appetizing i can still assure you it was great. that being said from someone who usally hates eggplants. 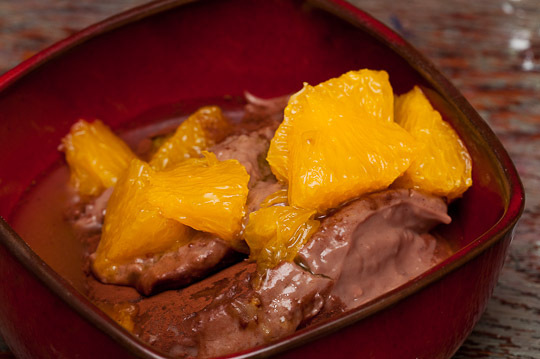 and finally chocolate blancmange with caramel-orange-sauce. there is no picture from the most impressive part of the meal (at least from my point of view): i managed to bake ciabatta for the first time, using this recipe (in german).